Tick bites are best known for Lyme Disease, but all over the country tick bites offer exposure to a host of viruses and parasites. 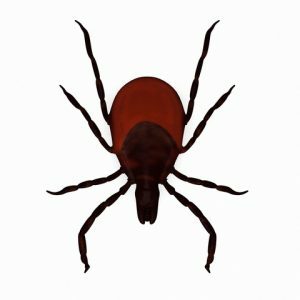 A new virus, named the Heartland virus for the place of it’s discovery (Missouri) has been added to the list of possible tick bite complications. Related to the Hantavirus, the new virus is potentially serious. Although only two people are known to be affected, because the symptoms resemble that of other tick borne illnesses, there may have been more affected. Both men were older farmers who got the tick bites while working, potentially a combination of factors that put them more at risk for serious symptoms that would be noticed. One man is still experiencing residual effects, although the other is recovered fully. It’s not clear whether other animals may carry the disease, or how far it’s spread (both of these things are currently being researched). Watch for tick bites, and keep a record of when and how many you receive in case you develop signs of a tick borne illness: brain changes (confusion, dizziness), fever, exhaustion, etc. may all indicate a disease. Tick bite illnesses can take months or years to recover from, so seeing a doctor right away is important. Wearing long shirts and pants tucked into socks can reduce tick bites. Make sure to check your animals too, as they can bring ticks into the home. What precautions do you take against tick bites?